It can be utterly overwhelming to choose an essential oil brand since there are hundreds of companies to pick from and so much conflicting information online. If you search for oils on Amazon there are over 44,000 options that show up. That’s insane! To top it all off, plenty of essential oil companies make up their own marketing terms like certified therapeutic grade (which we’ll get into detail about later) that make it hard to tell which brands are high quality and which ones are not. This in depth guide will help you weed through it all and walk away with a good sense for how to choose a brand and have a few ideas of good companies to try out. Are you just buying oils to make your house smell good? Or are you searching for oils for therapeutic or health purposes? If you just care about the scent then you won’t need as rigorous of a criteria to judge oils on. If you are going to be using them for therapeutic purposes then you’ll need to evaluate essential oil brands very carefully. Even if you just plan to use the oils as an air freshener, you should still avoid the rock bottom priced brands. These super cheap oils won’t smell as good and are diluted with other chemicals to make them more inexpensive. I saw a 10ml bottle of lavender oil on amazon for only 99 cents!! This is ludicrous and is definitely going to be terrible quality. Buying super cheap oils is like throwing your money down the drain and you’d be better off not getting into essential oils at all if you are only willing to spend a dollar or two on a 10ml bottle. Another red flag to look for is if a company sells all of their different oils at the same flat rate price. Think about it … each oil comes from a different plant, from a different part of the world. The cost to grow and harvest each of these plants is dramatically different. If a company is charging the same for all of the oils (and they have a wide variety of oils) then you should question whether or not each oil is actually pure and unadulterated. Oils like jasmine and rose should me much more expensive than lavender and peppermint. If the company has a kit or collection of oils that they sell at one flat price and market it as a certain amount per oil then that is not an issue. Just check to verify that each of the oils in the kit are priced differently on their website when sold individually. What’s your budget? Do you care about products being sustainably sourced? How much do you value customer service? Everyone has different answers to questions like these so it’s important that you don’t just blindly follow what some blogger says is the single best essential oil brand. There are quite a few great brands out there and you should really think about which one is best for you. (CC BY 2.0) Image modified from “Essential oils” by emmajanehw, “Essential oil diffuser and open bottle o” and”100% pure lemon essential oil label” by yourbestdigs. It is WAY more difficult than it should be to figure out whether or not an oil is high quality. There are surprisingly no regulations for essential oils, so marketing teams label the products with all sorts of terms that can be misleading about the products. The phrases “high quality”, “pure”, “certified therapeutic grade”,”all natural”, and other similar terms don’t guarantee anything because there are no standard regulations enforcing them. Companies like Young Living and DoTerra make up their own quality catchphrases to describe their processes and standards, and then trademark them so no one else can use them. Trademarking phrases in general is a very savvy marketing tactic and nothing is wrong with that on its own, but you just have to keep this in mind when comparing brands. Of course no other brand can claim they are also “Certified Therapeutic Grade”, because DoTerra has trademarked this phrase. It’s good to be educated on this so you don’t immediately rule out other brands just because they don’t use this same “certified” language. Even though there isn’t a standard to guarantee “therapeutic grade” quality, it is a key term used to describe the quality of the oil so you can quickly rule out any brands that don’t mention this phrase or a similar phrase. Then you’ll have to dig in on the ones that do mention the phrase to discover how good the quality it is. The only valid third-party regulation that some essential oil companies do follow is USDA Certified Organic. So if you want to make 100% sure that there weren’t excessive pesticides and toxins used on the plants sourced for the oils, then making sure it has the certified organic label is the way to go. Most oils are distilled from plants growing internationally and other countries outside of the United States tend to use less pesticides. 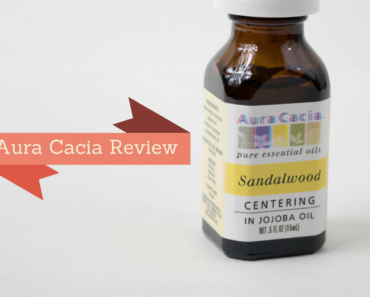 So most oils should be fine, but if you want to make 100% sure that the brand produces organic products then you can go with a brand like Aura Cacia that has USDA certified organic labels. You can figure out the quality of the oil by a few ways including reading reviews, buying multiple brands and comparing the scent and effects of them firsthand, verifying the credibility of the company and asking an aromatherapist. Make sure the label on the bottle has the latin name and country of origin. Many synthetically loaded oils won’t have the latin name. You can also try the oil drop oil test, where you drop oil onto a piece of paper and when it evaporates see if it leaves a ring around the edge of the oil stain. If the oil is full of other added chemicals and isn’t pure essential oil, the remnants of these chemicals will be left behind when the oils evaporate. If it’s just pure essential oil, then it will just be an oil stain that is the same color and texture across the drop without any ring around the edge. The National Association for Holistic Aromatherapy has a great article by a certified herbalist here about how to tell what the quality level is of an essential oil. Some companies are more transparent than others. If you really care about the quality then you might prefer brands that provide real proof of oil purity and give their customers transparency. Transparent companies provide batch-specific (MS/GC) reports for each of their oils. Many companies say that they don’t provide reports because their blends are proprietary. One essential oil enthusiast, Miles, got really fed up with the lack of transparency so he bought oils from different brands and paid to have them sent to a third-party lab to get the GC/MS test results. He found that most of the oils had good reports but Cinnamon Bark oil from Young Living was adulterated with synthetic cinnamaldehyde, indicated by the presence of phenylpentadienal isomers. You can check out all of the lab reports here. It’s pretty disappointing to pay a lot of money for what you think is a therapeutic grade oil, only to get oils that are actually have synthetic additives in them. That’s why it can be good to just stick with brands that prove they sell only 100% pure oils. In the comparison of essential oil brands below, you can see which ones provide detailed reports and which ones do not provide any transparency. Some brands offer over a hundred types of essential oils, while others just have the basic and most popular oils. If you want a more rare oil then you might have to use multiple brands if the one you typically buy from is limited. If you want to stick with only one brand, then you might want to pick one that has a wider variety. Some companies offer chat, email and phone support if you have any questions or need help. They have varying return policies as well. If you are trying the brand for the first time or are new to oils then it might be good to check the policy to see if you can return the oil. Some brands like Young Living only let you return unopened products for a full refund and will only give you store credit if it’s already opened. 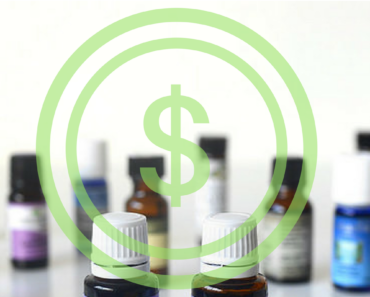 Essential oil prices range dramatically from brand to brand. Some cheaper oils are sold for as little as 13 cents mer ml, while premium brands are selling for $1.40 per ml. The quality is related to the price but a high price doesn’t always guarantee high quality. You’ve got to use price plus other criteria like covered previously in this guide to detect the quality. A good rule of thumb though is if the oil is super cheap, it’s not going to be good quality. 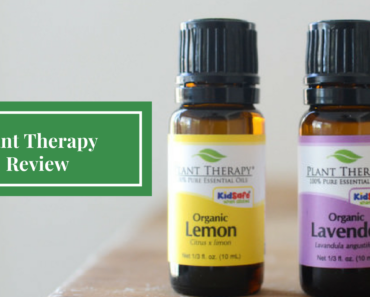 Plant Therapy Essential Oils is a great company that balances affordable prices with high quality oils. They offer certified organic oils and also have a kid-friendly line of oils. You can find almost any specific oil you are looking for since Plant Therapy sells a few hundred varieties of oils and blends. They have great starter kits for you to sample a variety of oils at a discount. Read the full review here. RMO is an extremely transparent essential oil brand because they publish batch reports for all oils they produce. They commit to ensuring the oils are 100% pure and unadulterated. RMO also has a wide variety of oils. The company known as Native American Nutritionals is now RMO. 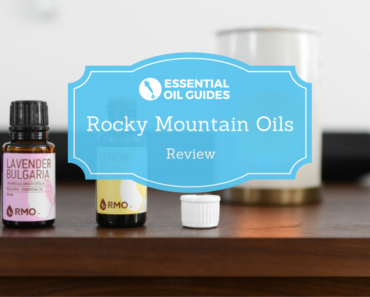 RMO is pricier but you are guaranteed to get high quality and pure oils if you buy from this brand. They smell absolutely heavenly. Read the full review here. Eden’s Garden puts the GC/MS test results on each product page so you can see them. This company is priced closely to Plant Therapy and offers really affordable but high quality oils. They also have a kid-friendly product line and are expanding a roll-on line. 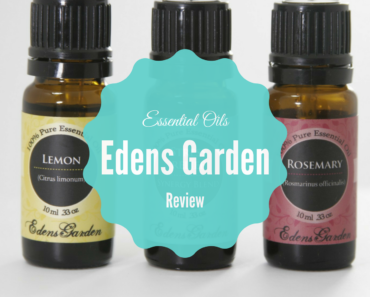 Eden’s Garden roll-on line pre-dilutes the essential oils with a carrier oil so they are safe for using directly on your skin.